Dinan’s billet short-shifter kits effectively reduce the amount of throw necessary to make gear changes providing a sportier feel. Larger BMW models with larger gearboxes require more leverage to make the gear changes, which is why BMW employs different shift handle configurations for various applications. The Dinan short shifters are application specific as well in order to achieve an appropriate reduction of throw, providing the associated benefits without making the desired gear difficult to locate or require inordinate effort; a common complaint with other manufacturers’ short-shift kits where a ‘’one size fits all’’ approach is common. In addition, Dinan’s short-shifters retain the nylon pivot ball and shifter bushing, providing the same smooth and quiet operation as the original shifter. Other manufacturer’s shifters employ metal components which tend to be noisier and induce a notchy feel. The short-shifter is also rubber isolated for a solid feel and vibration free operation. Simple to install. 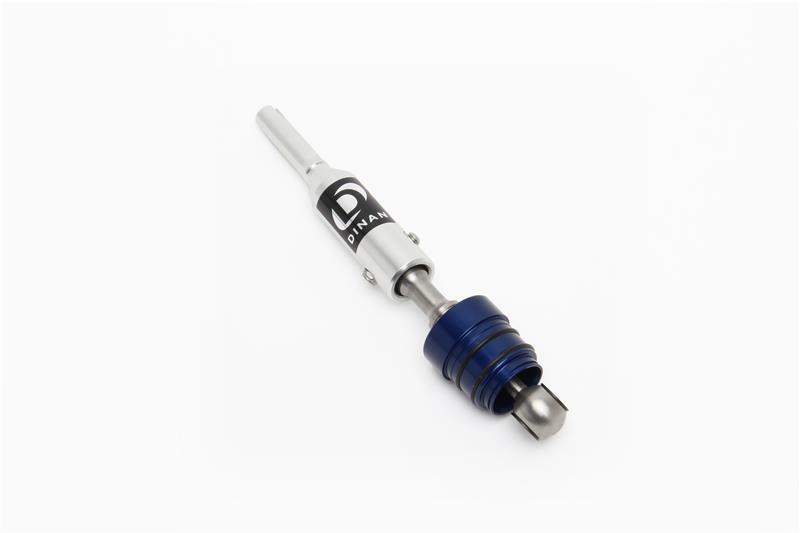 Zero maintenance, Dinan’s billet short-shifter has a 20% to 25% reduction in throw with a self-lubricating bearing for the ultimate in smooth short shifter technology.